Balancing career and family obligations is difficult in our everyday lives, but there are additional challenges in the summer. From ending a school year to beginning the next year there are many stressors and obstacles. Getting your child to help with the daily chores at home is much easier during the school year because they are attending school while you are at work and everybody comes together at the end of the day. In the summer months the parents aren’t always aware of what their children are doing at all times and there is additional free time. It is healthy for parents to require chores. Chores help children become responsible and it teaches them how to deal with frustration, be independent and have a higher self-worth. If your child is involved in summer sports ensure that they get their chores done ahead of time. If you let them replace sports with chores you are teaching them that chores are not important. We, as adults, have to continually keep up with the daily household responsibilities while still holding down a job. Even though the school year ends, most schools give summer homework and many parents fail to ensure their children comply with the requirements. This causes complications in the new school year. An example is an English assignment of reading a book. The children tend to procrastinate by convincing themselves that they have the entire summer to complete the assignment. The procrastination then leads to a mindset that they will have the whole year to bring up the grade. With the advancements of technology it is a constant struggle for parents to monitor their children. Again, it is easier during school months so parents need to understand the challenges of social media. It is all about balance. Sure it is important for your children to have ‘me time;’ however, too much alone time can lead to danger. We are faced with the challenges of social media bullying, (which affects self-esteem), and improper sights on the Internet. Spending too much time with technology also creates lack of verbal communication. We need to teach our children interfacing from people to people. So, what are the key takeaways/tips for summer balance? •	Create ‘to-do lists’ for your family. It will assist with organization and responsibility. •	Schedule ‘family time’ and unwind from corporate responsibilities. Leave work at work. •	Limit electronics during family time so you can effectively communicate with one another. This will help you understand what is going on in your child’s life. •	Set boundaries for yourself and for your children. •	While you are at work, limit your personal phone calls. This will prevent negativity from interfering with your job. •	Have rules for your children and if they break those rules – have consequences and stick to it. If you have no rules you will lose control and additional obstacles will present themselves. •	Formulate a plan so that school requirements are met during the summer months. •	Take a vacation. Everyone needs relaxation time. •	Have ‘date nights’ with your significant other. Just because your children are on summer break, your job requirements are still the same. You need quality time for the two of you. •	Set summer goals for you and your family. Goals are always important and it guides behavior. It will also create challenges and overcoming those challenges assist with organization, motivation and decreases negativity. •	Learn to say ‘no.’ Many parents are more lenient during the summer and this can create new habits that aren’t necessarily suitable. •	Limit working long hours. You do not get to take the summer off, but you can limit your time at the office so you can be aware of what is going on with your child. •	Ensure your children are getting the proper exercise. Many children develop bad habits relative to health so have a plan for family exercise. Life is a challenge and we need to be creative so we stay ahead of obstacles and negativity. Create a family summer plan and enjoy!!! 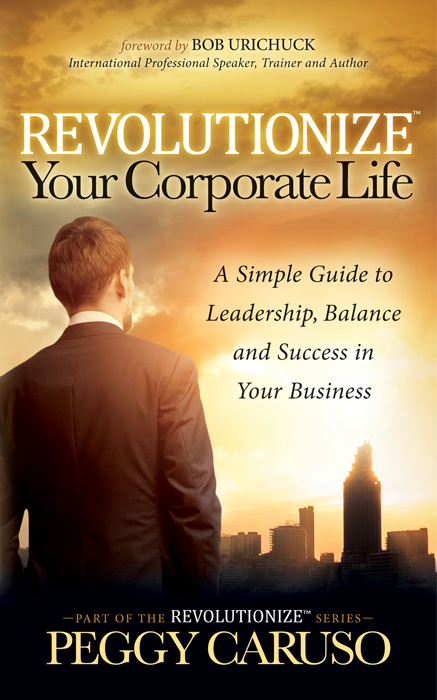 Peggy Caruso is the Owner of Life Coaching and Beyond, LLC and she just released her latest book in her Revolutionize series Revolutionize Your Corporate Life: A Simple Guide To Leadership, Balance and Success in Your Business. She is a Certified Executive & Personal Development Coach, Advanced Relaxation Therapist, NLP (Neuro Linguistics Programming) Master Practitioner, author and 8-time entrepreneur with 24 years experience. Her ‘Revolutionize’ series has been approved as a registered trademark and inclusive of that are her previous books, Revolutionize Your Life and Revolutionize Your Child’s Life. Throughout her professional career, she has helped not only countless professionals but numerous children rid themselves of depression, ADD, and ADHD medication. Caruso has been recently featured in Reader’s Digest, Advancing Women, Franchise Handbook, NBC and CBS affiliate morning shows across the US. Peggy Caruso is the Owner of Life Coaching and Beyond, LLC and she just released her latest book in her Revolutionize series Revolutionize Your Corporate Life: A Simple Guide To Leadership, Balance and Success in Your Business. She is a Certified Executive & Personal Development Coach, Advanced Relaxation Therapist, NLP (Neuro Linguistics Programming) Master Practitioner, author and 8-time entrepreneur with 24 years experience. Her ‘Revolutionize’ series has been approved as a registered trademark and inclusive of that are her previous books, Revolutionize Your Life and Revolutionize Your Child’s Life. Throughout her professional career, she has helped not only countless professionals but numerous children rid themselves of depression, ADD, and ADHD medication. Caruso has been recently featured in Reader's Digest, Advancing Women, Franchise Handbook, NBC and CBS affiliate morning shows across the US.